Morning Work! Yuck! Seriously . . . yuck! 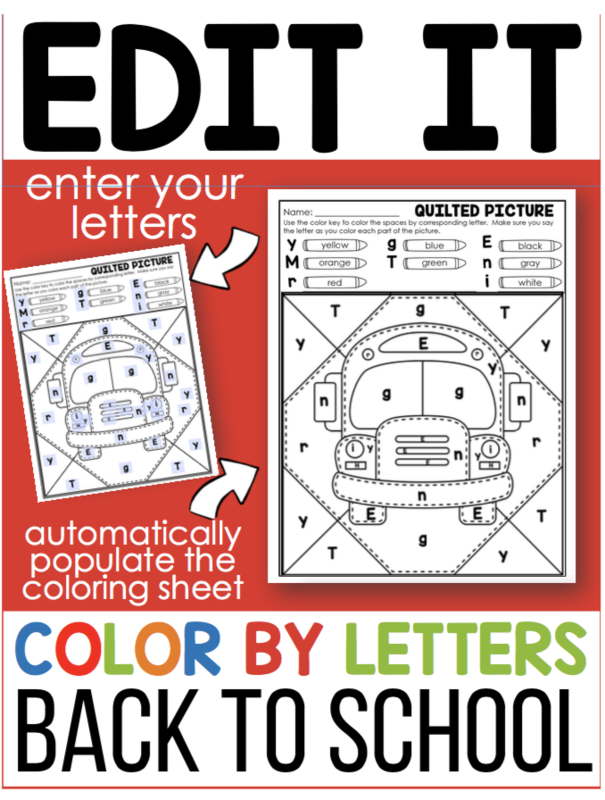 We feel like we need to have something for our kiddos to do while they file into our room haphazardly in the morning. Most of them are on time, but many are 5, 10 or 15 minutes or more late for class. I hate starting a new lesson without all of them there, so I have been forced to have SOMETHING for them to do for those first 20 minutes or so of the day. Morning Work! Blah! While I have no opposition to a daily activity sheet now and then in the morning, if it’s done everyday it’s boring for them and even more boring for me. Did I tell you I hate paperwork? I understand the necessity of paperwork for demonstrating understanding or for accountability from time to time, but I also believe in the benefits of meaningful and engaging practice. So I changed my morning work. 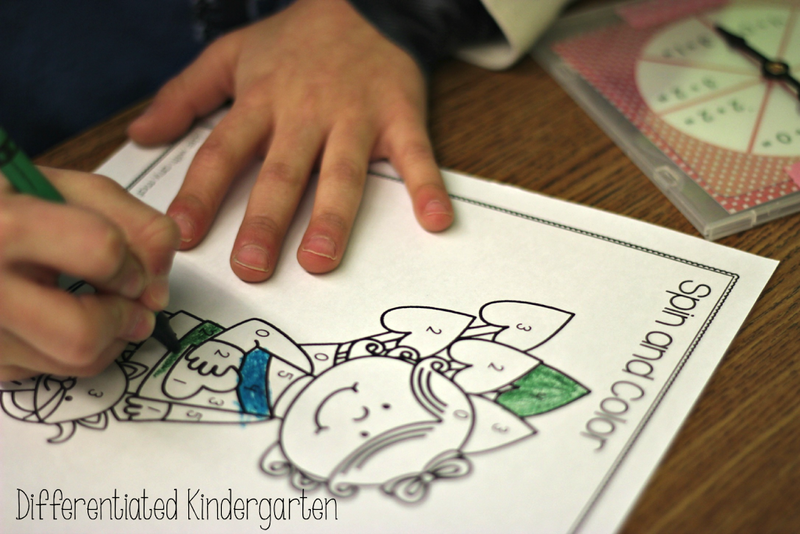 Every kindergarten class has their own personality, likes and dislikes, motivators and favorite activities. This year’s class is all about spinners and sensory tables and by changing the way I do morning work, I can give them that. 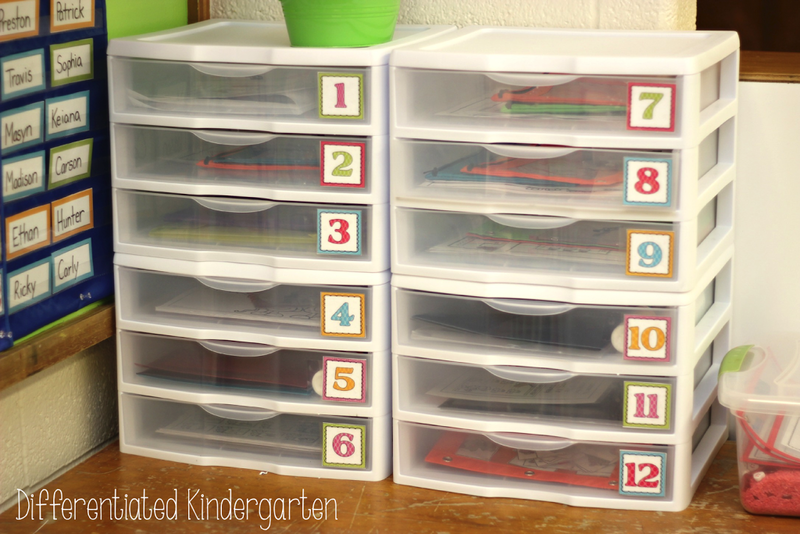 I have twelve drawers with various, differentiated activities inside. (These drawers are by Steralite and you can get more information about them HERE.) 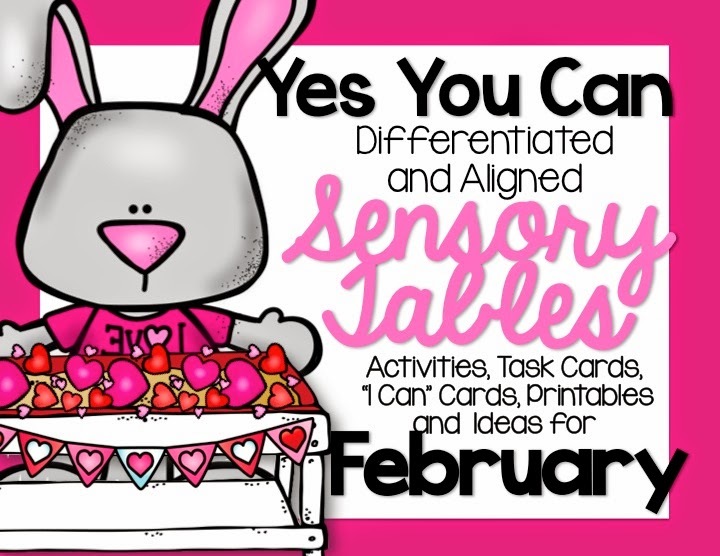 Most are spinner games which they beg for, but, because my students are also loving sensory anything, I also included a sensory activity as well. But really, you could put anything in there. These are just things that are currently on my students’ most ‘want to play activities’ list and my most ‘want them to practice’ skills list. 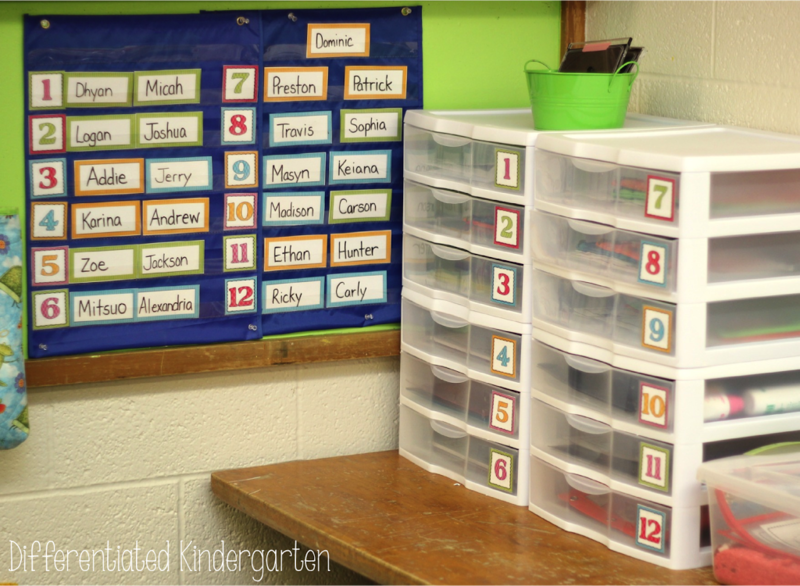 Next to the drawers, I have a pocket chart with corresponding numbers and student names. The number next to the student names is the drawer that they work out of that day. 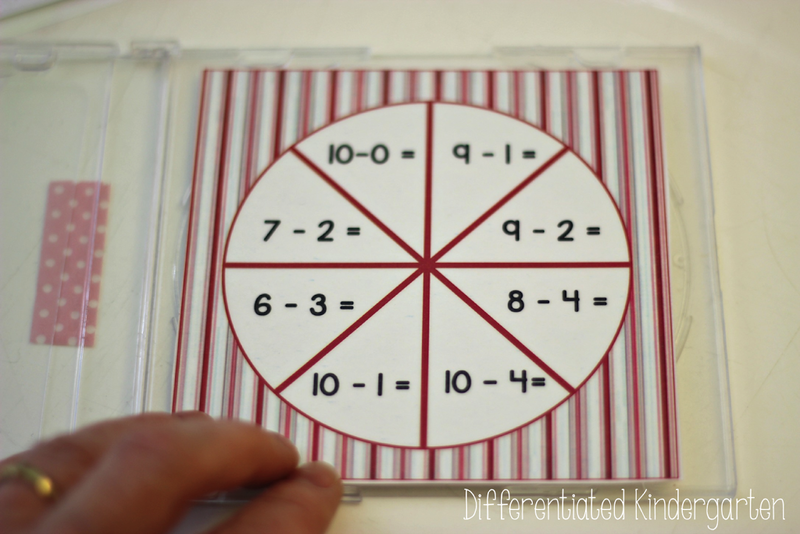 This is very similar to how I set up my math stations. Students are partnered up with other students who they work well with or who I think can challenge each other. 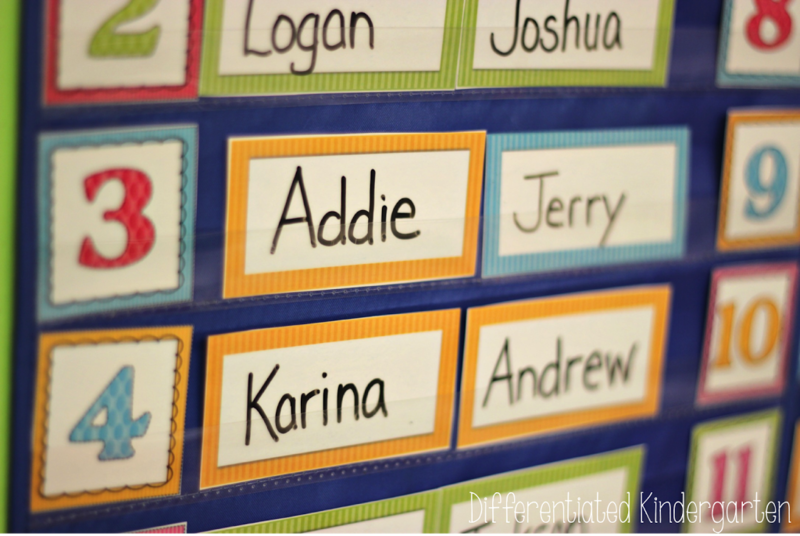 The different colored name tags indicate different tiers of instruction. However, this does not limit who they may be partnered with. I am just as likely to put two same tiered students together as I am differently tiered students. And . . . just because you are orange one day doesn’t mean you will be orange everyday. I often am moving students to different colors based on their ability level for a specific task, recent assessments or observations. That’s why my name tags are never ever printed. I want to be able to change their tier quickly and simply. I do that by laminating the tags and using a dry erase marker. 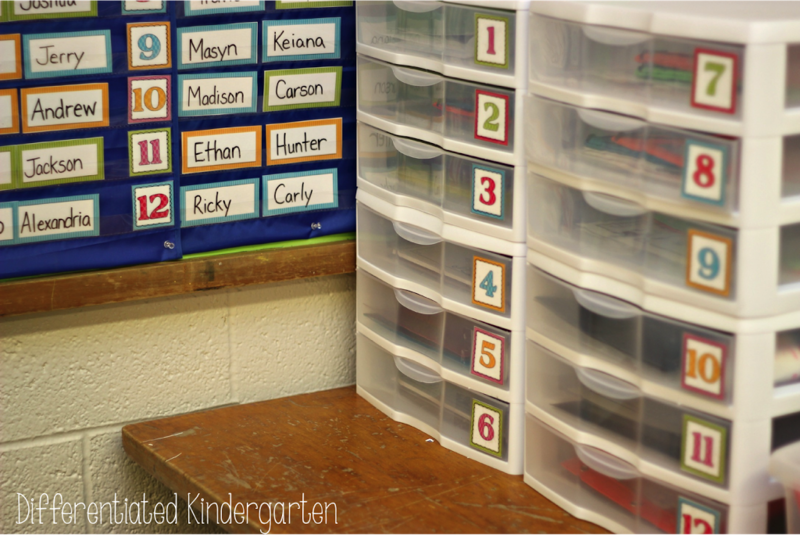 At the end of the day, the numbers all move down so that students work out of a different drawer the next day. With 12 drawers, that’s more than two weeks of morning work if you only go through the drawers one time. However, I often have students travel to each drawer twice (They always want to go back to familiar drawers and never get bored believe it or not.) and that can make the drawers extend for an entire month. I know from experience that in order for any ‘station’ type system to work, it is necessary for students to be responsible for it—themselves!!! I don’t want to be pulling out drawers and walking around setting up activities. So I showed each and everyone of them the way to pull out the drawers and put them back in squeezing the sides in when the drawer stopped to release the ‘brake’ system. So they match their number up with the drawer number, grab their drawer and away they go. In this drawer, everyone uses the same laminated response sheet but has differentiated spinners. So the spinner case is empty when they get their drawer. 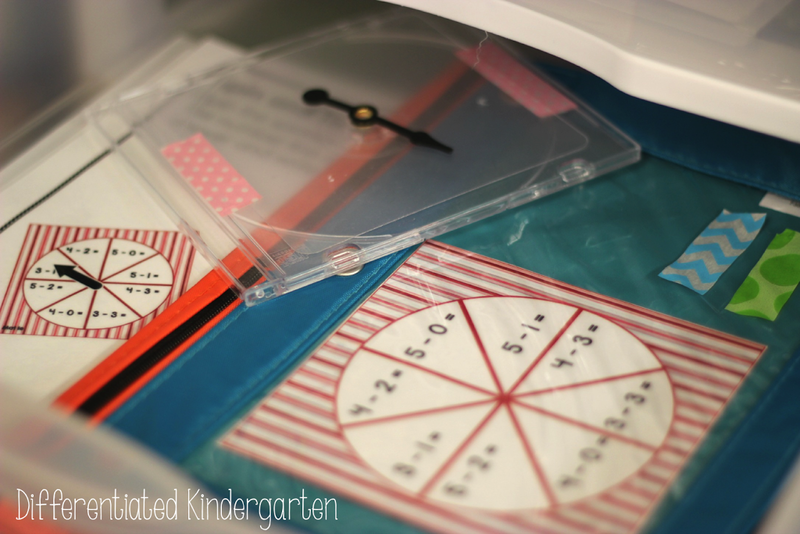 Like using the drawers, I have also trained my kinders how to load their spinner cards into cd cases as well. So they take out their leveled spinner, place it in the case . . .
. . . close the case up . . .
. . . and they’re ready to get started. 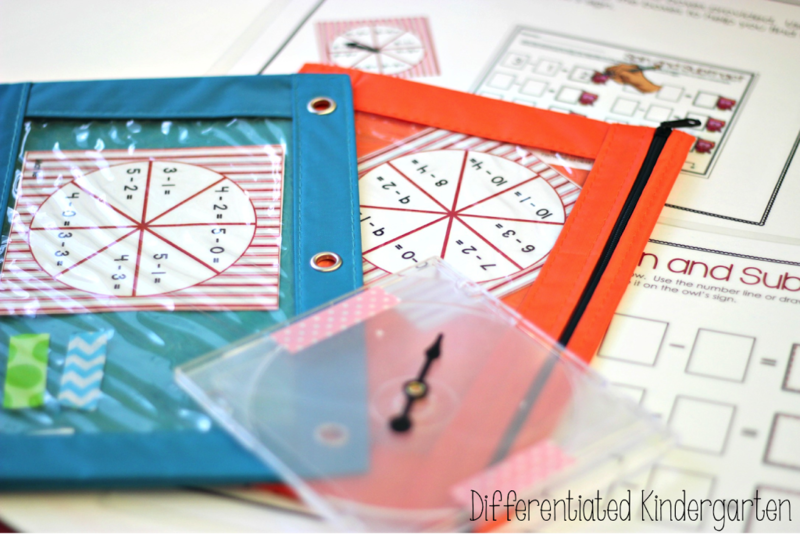 By the way, I really like these spinners from Learning Advantage. Click on either of the pictures above to get more information on them. Independence also means giving them the tools to take care of problems that might arise as well. So I always have a bucket of extra spinners at their disposal along with other necessary items. With 12 drawers you are probably wondering where everyone’s working. As you can see, I let them choose. I only have one rule for where to work: Bingo dotters have to be used at a table. My other expectation is that everything goes neatly back into the drawer. It takes practice, but they do get it. 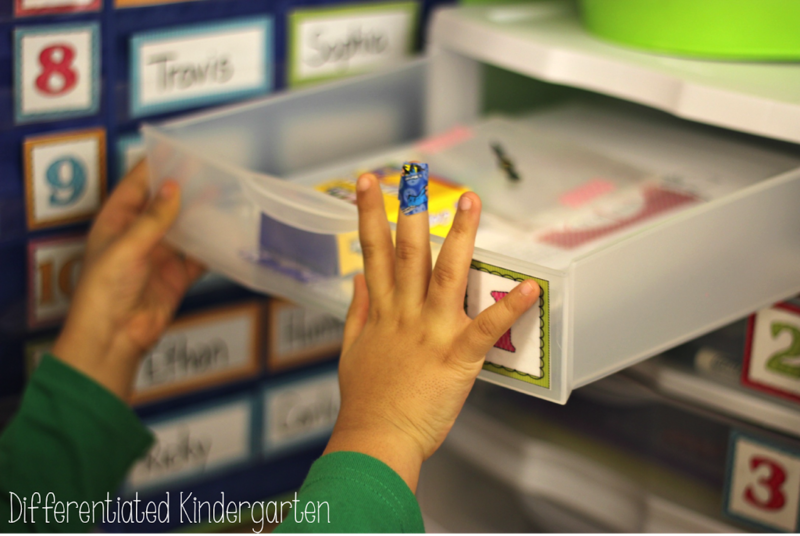 One of the ways that these activities stay independent, is by including the activity card in each drawer. This gives students a visual of what they need to do with the materials and refreshes their memory of the activity. It also has the Common Core Standard on it so that if my principal ever wants to know what skill the activity addresses, it’s right there. 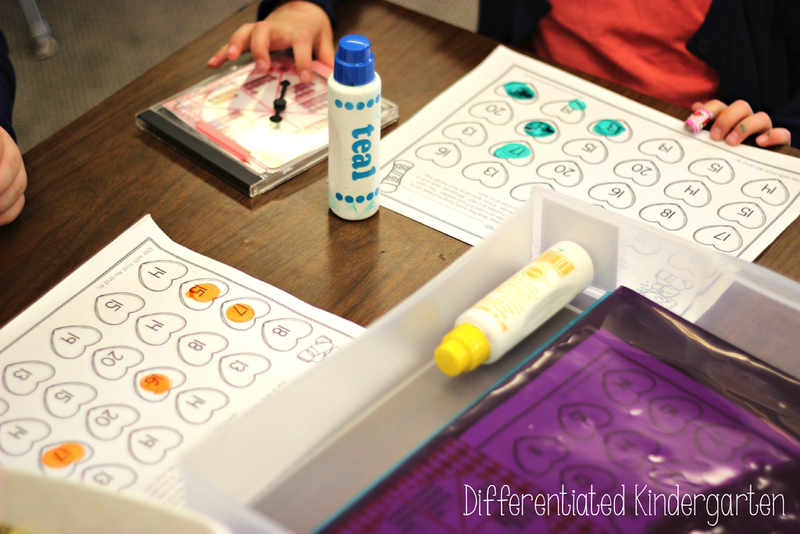 Because these activities are familiar, even when I change themes each month, students easily adjust to the skill or difficulty level, because they know the activity or game. That allows me a few precious minutes to finish attendance and walk around to see if everyone is completing tasks as they should be. 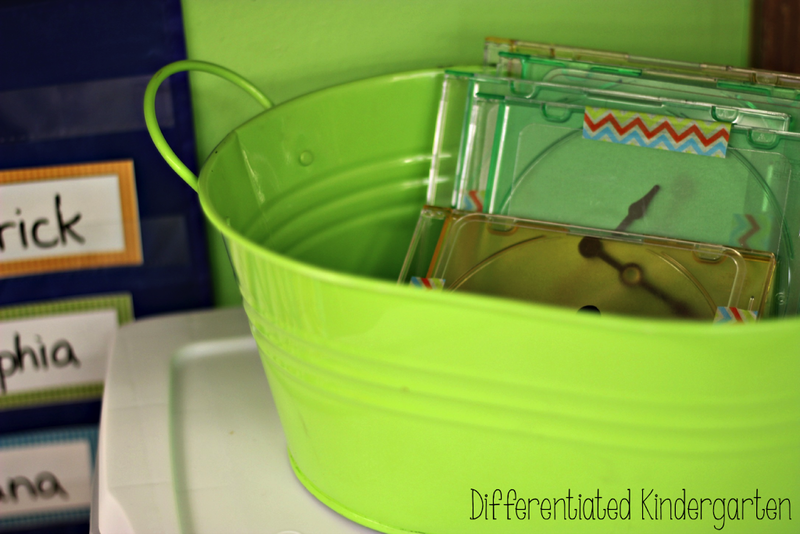 By using a small portable tote, I can also include sensory activities into this morning work rotation. 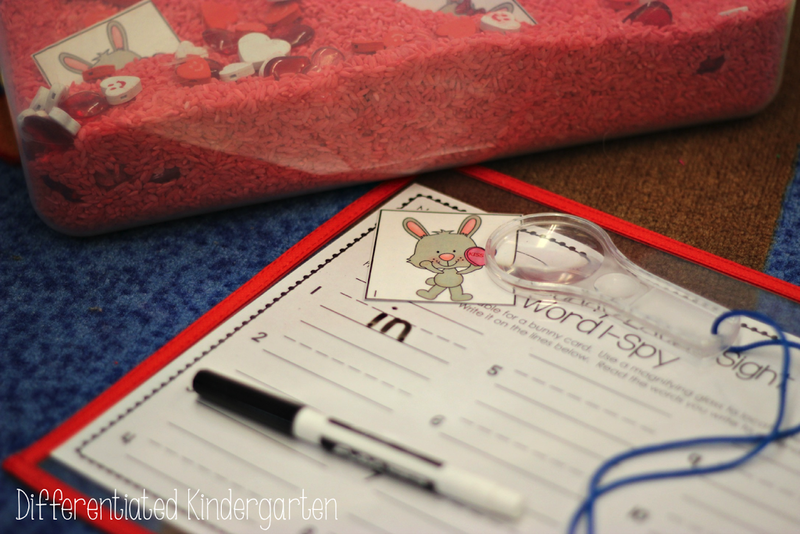 Students search through the sensory goodies for sight work I-spy cards. 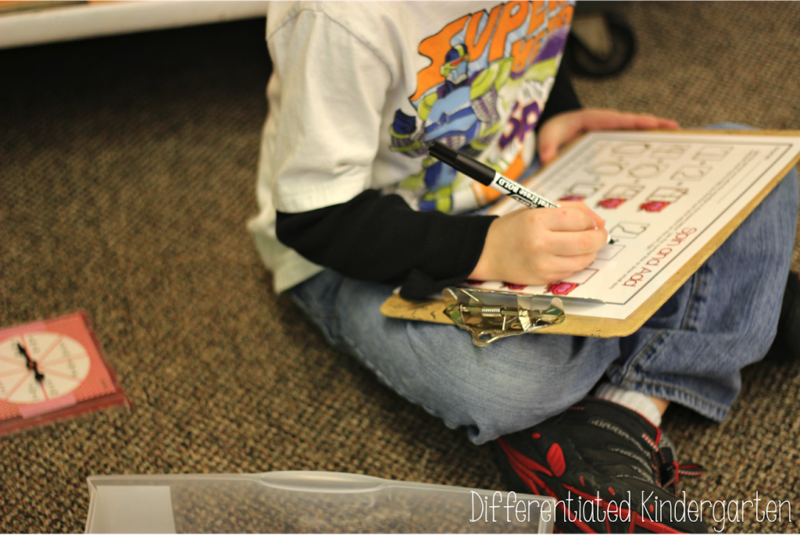 Using a magnifying glass, they find their sight word and record it on the recording sheet. It’s differentiated, of course, so everyone is challenged at their own level of ability. I love hearing their conversations and watching them interact with the materials and their partners. It’s a good time for letting them problem solve and help each other out. This little one below was an incredible teacher to another student in my class. I sat back and watched her give him instructions without giving him the answer. They loved morning work that day so much, they asked if they could do this drawer during ‘rest time.’ Ummm . . . YES please! Using dry erase markers and laminating the response sheets cut down on my paperwork immensely, and I still feel like I can get a good assessment of their understanding and skills by making a quick walk through. I’m not going to tell you that my classroom is quiet during this time nor will I tell you that everyone is seated neatly at a desk and chair (I don’t even have desks for goodness sakes! ), but I will say they are engaged and working. And when they’re done, they pack it all up and slip the drawers back in where they belong. That’s it! I’m sure this morning work system would work no matter what you put in the drawers as long as your students were being challenged at their own level of readiness, engaged in an activity that was interesting and the work is meaningful. Pick those activities that your students beg for more of everyday . . . smelly markers, play-doh, paper punches . . . And if you’re needing numbers for your drawers and pocket chart name labels, I’ve put together a super quick, nothing fancy, simple file with some that will fit HERE. Just click and you can download it to use yourself. And if you’d like more information about any of the activities you have seen in this post, just click on the pictures above or the packets below to find out more. So, what’s your morning work routine? Amazing! I love it! 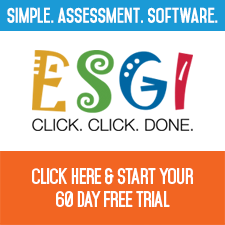 How much time do you spend adding or changing activities and assigning students to centers? Thanks for these ideas! They are great! Umm…I love this post SO much! I love your ideas for morning work! Also, thanks for posting how you tape and use the spinners. Fabulous – Marvelous – Wonderful! Thank you for sharing so much! 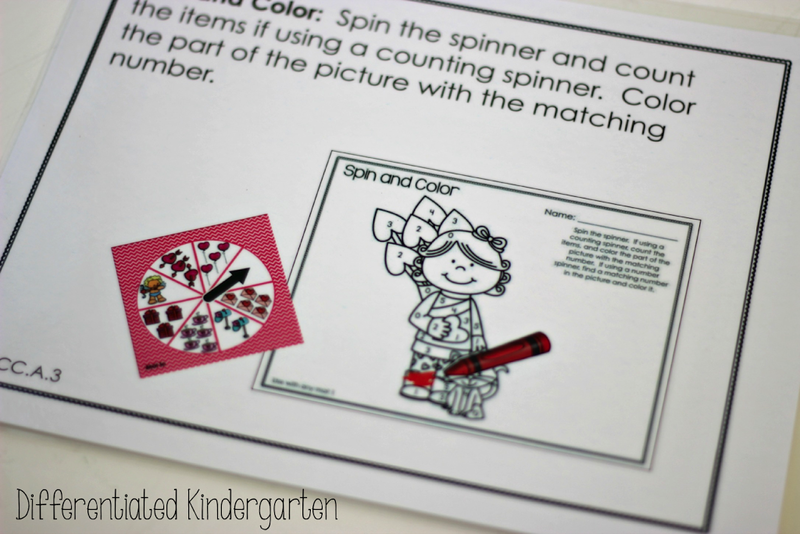 I LOVE this idea and the spinners are going to be top on my To Do list over Spring Break! 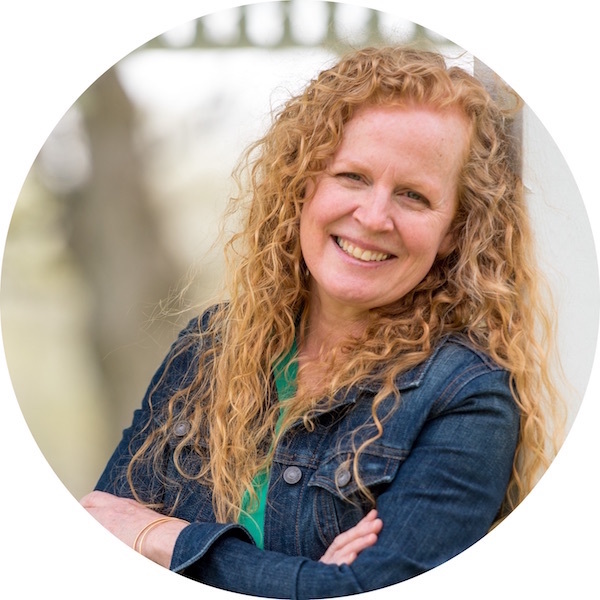 Thanks to Mary Liretter for sharing your blog and this wonderful resource as well! I always feel so inspired in reading your blogs! I love all of your TPT stuff. 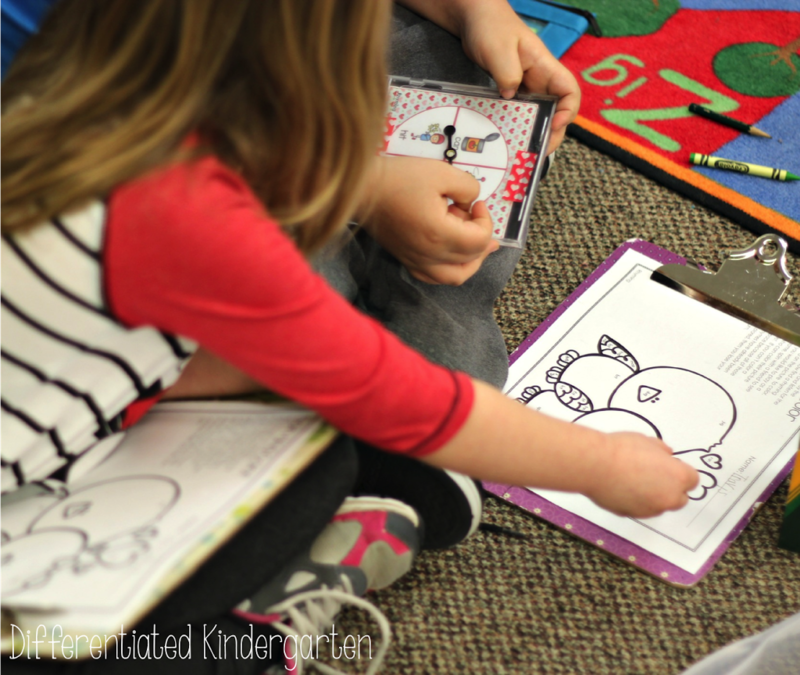 Last year I had a K/1 combo and your TPT stuff saved my life!! I am now on a mission to fully implement your centers and ideas into my room this year! Awww thanks so much for your kind words Michelle. I really appreciate it. Love this idea. So many ways it can be used. 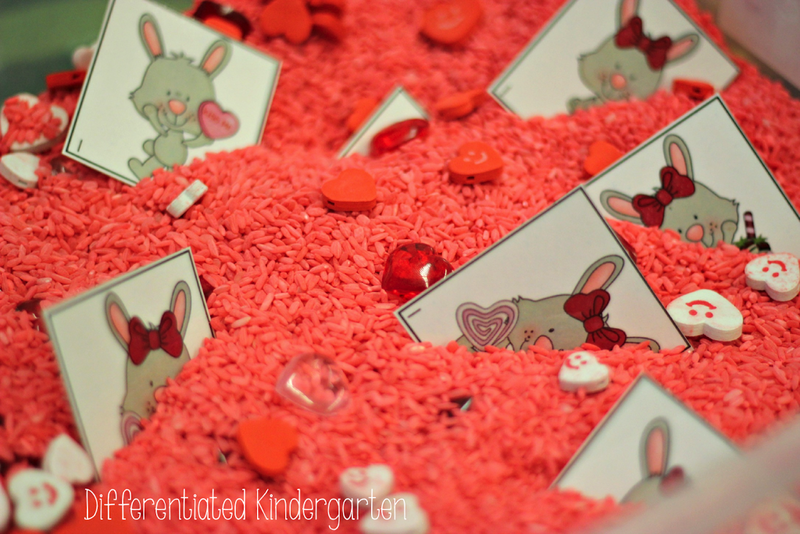 I think I will definitely do something like this in a kinder or first grade room. So glad you enjoyed it Lacey. Let me know if you have any questions. I love your ideas and will be implementing many next year. 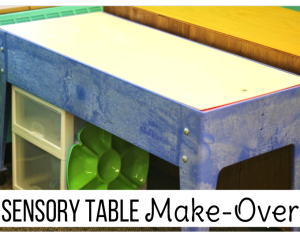 What do you use to dye your rice, pasta in your sensory tables? The colors look so dark and bright. Just alcohol and food dye. It’s really easy! This is awesome! Questions, how do all the laminated response sheets the students are recording on get erased each day? Do the students erase when time is up? What if they don’t finish the activity? Is that no biggie, as long as they are working the entire time? Thanks for your great ideas! I’m not a big fan of dittos either!!! Especially in kindergarten! My students erase them on their own. I can usually scan of the room while I’m taking attendance and the like to see who is on task. They also work with a partner so there is that accountability which I think is always HUGE. 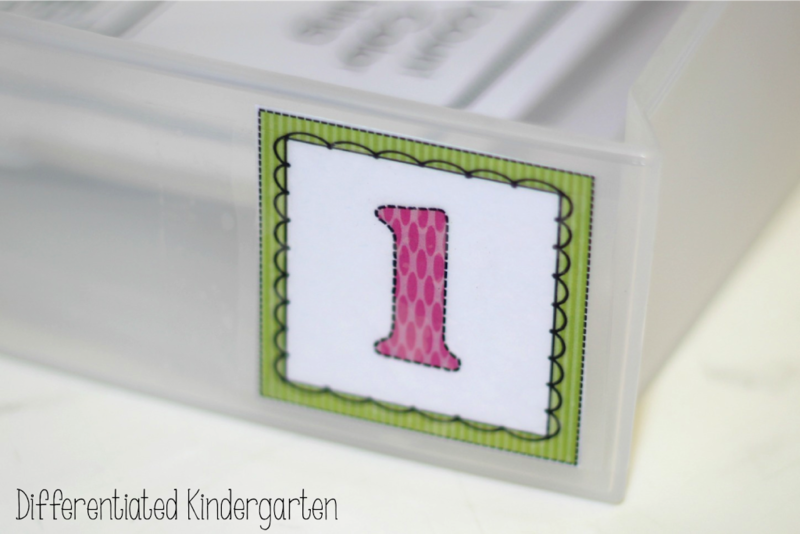 Do you have a link to the printable number & name cards used to organize? It’s right there in the blog post. Towards the end of the article you will see the word HERE in blue. Click that and it will take you to the file. 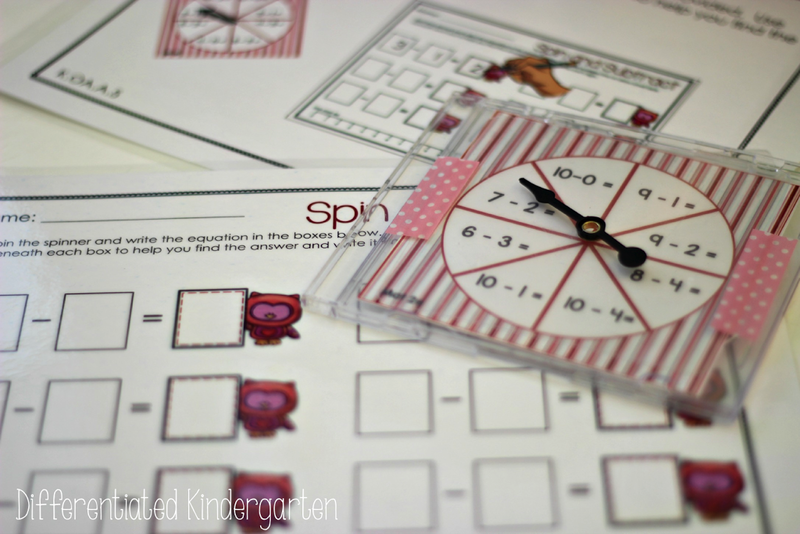 Hi, how do the children know which spinner to take for their own laminated sheet, if the laminated sheets are the same? Everything is differentiated by color. So if their name is written on a green station tag, for instance, they always open the poly envelope that is labeled with a green sticker or use the spinners in the green pencil case. Once they get into the habit of looking for the items that are in their corresponding colored container, it’s super easy. Does each drawer contains a different activity, or do some of the drawers repeat the same activity? Each drawer has a different activity. There are twelve drawers and if you use each drawer only one time, then the activities will last you over two weeks. 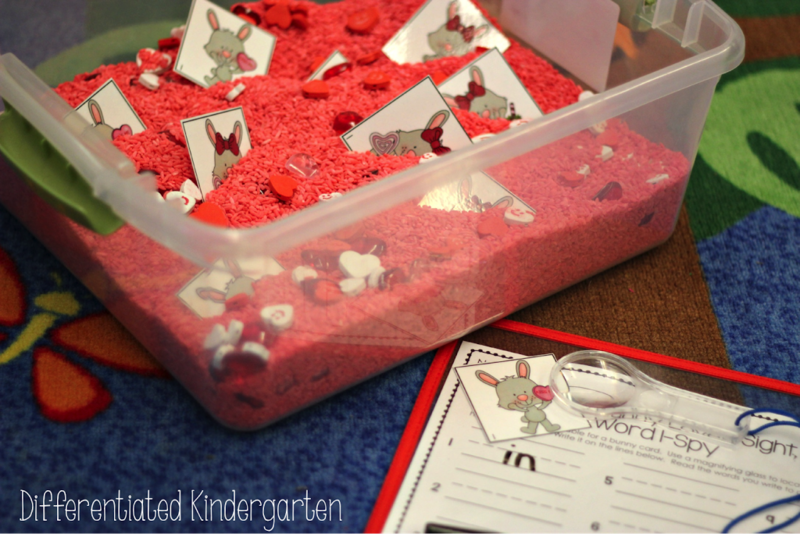 At the beginning of the year, I like to put in lots of hands on activities and fine motor activities. 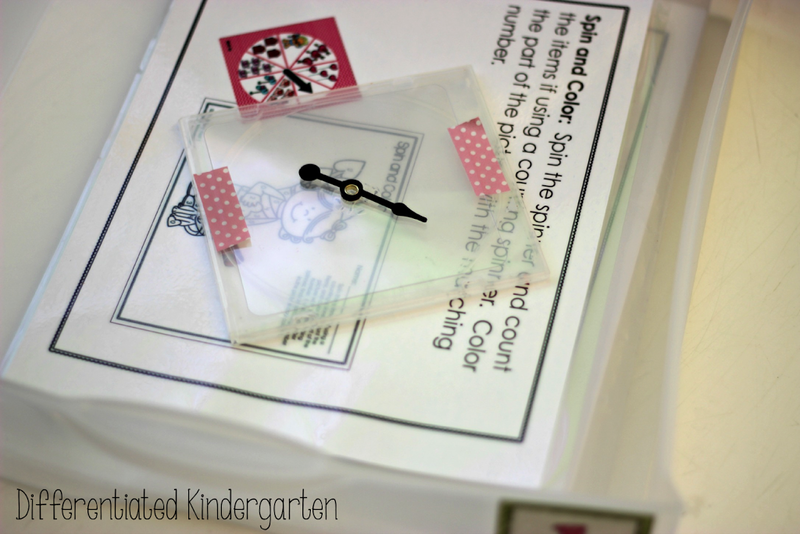 Hole punch activities are a great one to mix amongst the spinner and sensory activities. If you have 2 children in the orange group, for example your group #4, do they each get their own orange zipper pouch from their drawer? or do they share the materials found in one orange zipper pouch? If they are the same color, that means they are of “similar abilities” so they would work from the same drawer and on the same activity…would you need to double the activity then? No. When using spinners, students take turns. They do have their own response sheet though. Regardless of their ability level, partners or groups work from the same drawer. In the drawer there will be different levels or skills for the same activity. 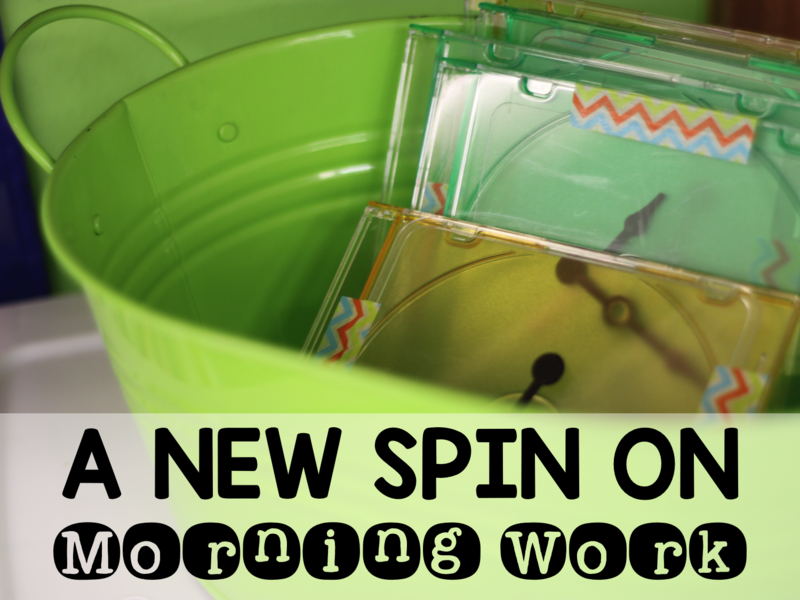 It’s a transparent spinner that I simply tape to the outside of the cd case. My morning work is a combination of spinner and sensory packets. I have a different one each month. I would like to set this all up before that month! Thank you I can’t wait to get started! I love your morning routine! 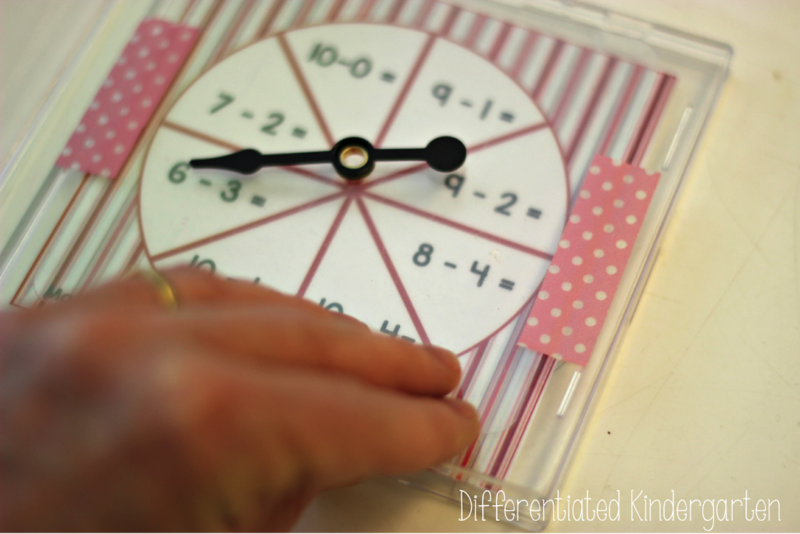 Do you make kids do the work if they are always late? I typically have one/two students every year that miss morning work so I’ve always made “table work” which consists of free drawing, board games, checkers, connect four & Legos. I love all your resources and products. 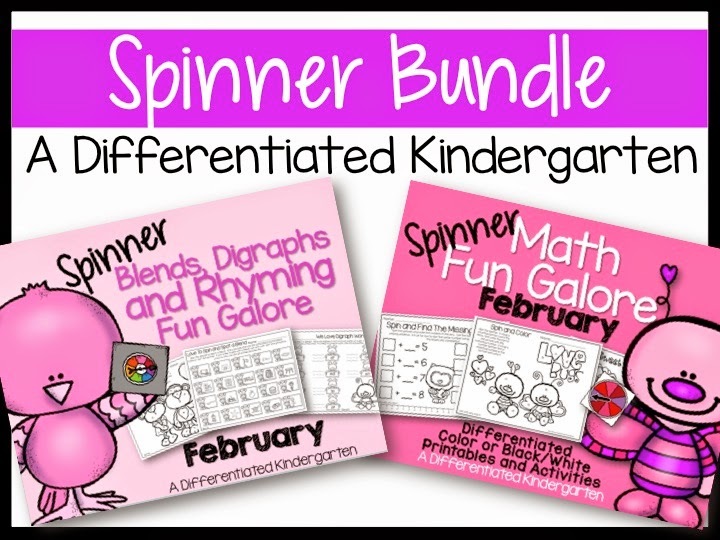 I have been using several already purchased from tpt. I see now how you use the colored name tags so students use different levels of practice. 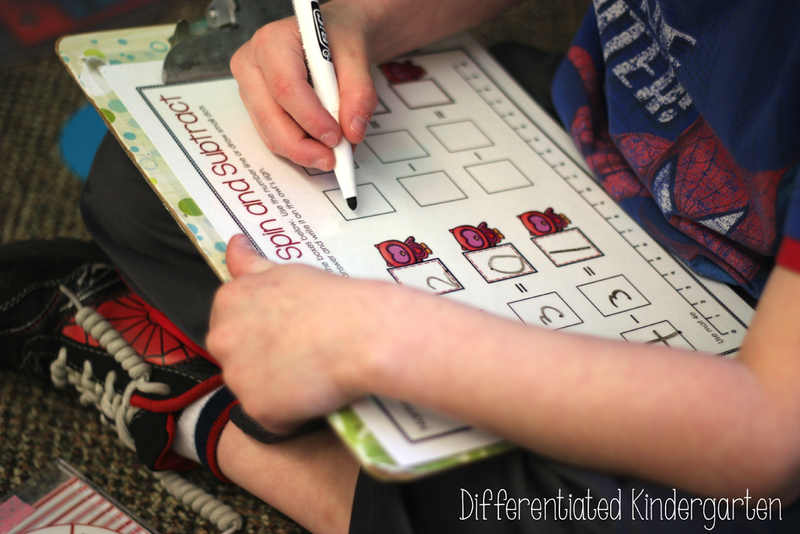 I like that you use dry erase so they can change level. Since moving to a “daily five” routine I have loved flexible grouping. My question, do you have a different chart with different level grouping for language arts practice activities? I’m a Special Ed teacher looking for a new morning work routine. All of your resources look amazing! I have a few questions. 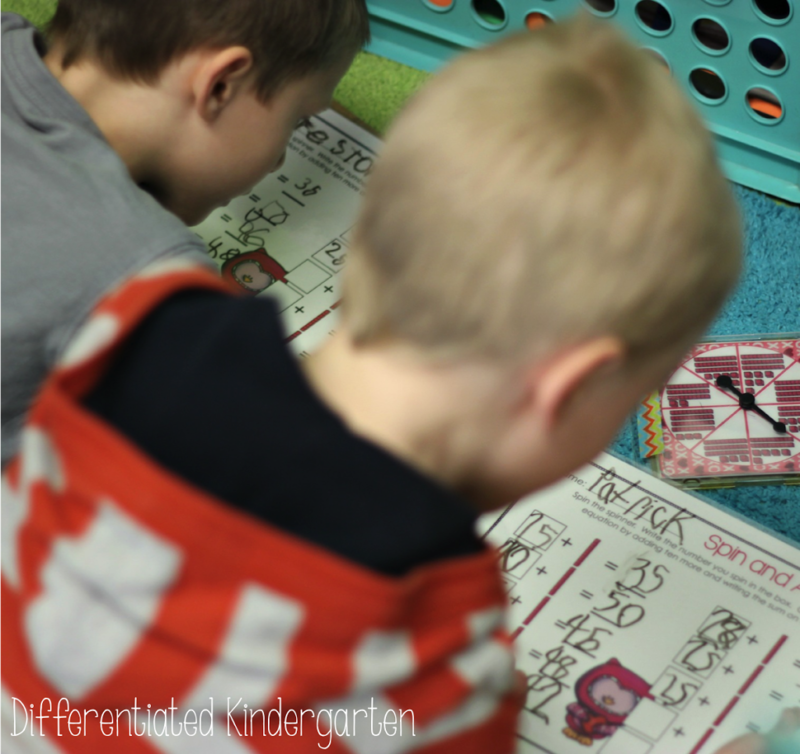 First, I noticed you have many different options for monthly packets, but I didn’t see any sets with both math and literacy – did I miss them or do you not have combined sets? Second, are your activities pretty similar month to month so that once the kids are taught how to do each activity they wouldn’t have to be constantly retaught? Lastly, in terms of teaching the kids each activity, do you have any suggestions for how to do so? It seems a tad overwhelming to introduce, model and practice each activity before putting it in the bins with there being so many activities. Let me know your thoughts! Thanks so much! Next . . . yes the activities follow a familiar pattern so the independence can be developed quickly. And finally, I usually introduce activities during small group instruction. We play a round (or two) together and then I move them into a station as one of their choices. Hope this helps. LOVE the bins and colored name tags/#s. I read the post, but still don’t fully understand. 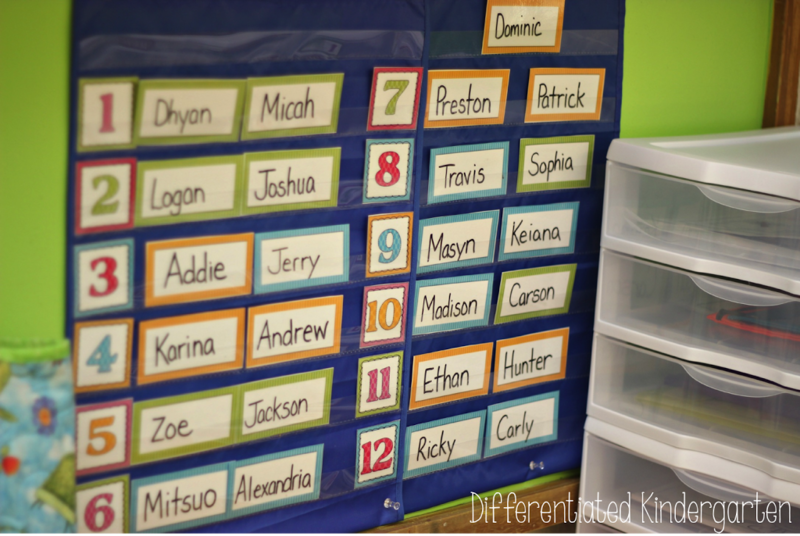 So the different colored names tags indicated different tiers of instruction…..so, the #s bins have differentiated activities? 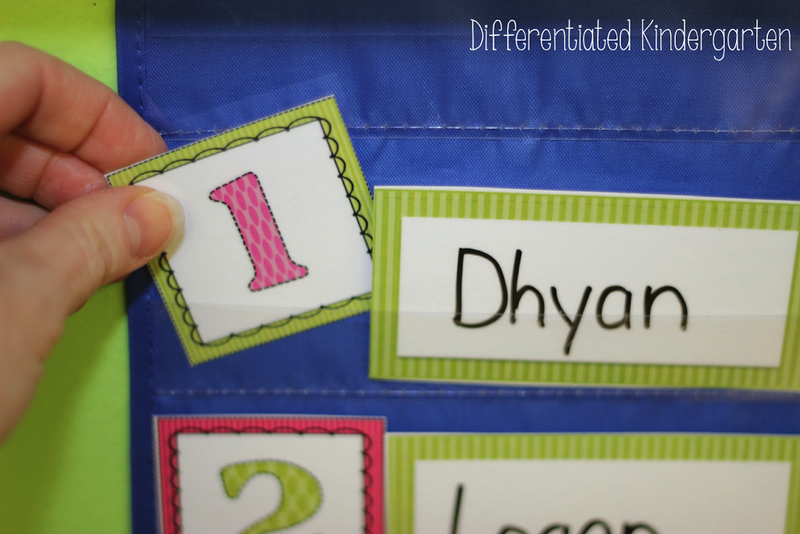 The name tags move down, so how does this work for differentiation? I’m sorry! I really want to do this, just need more clarification!